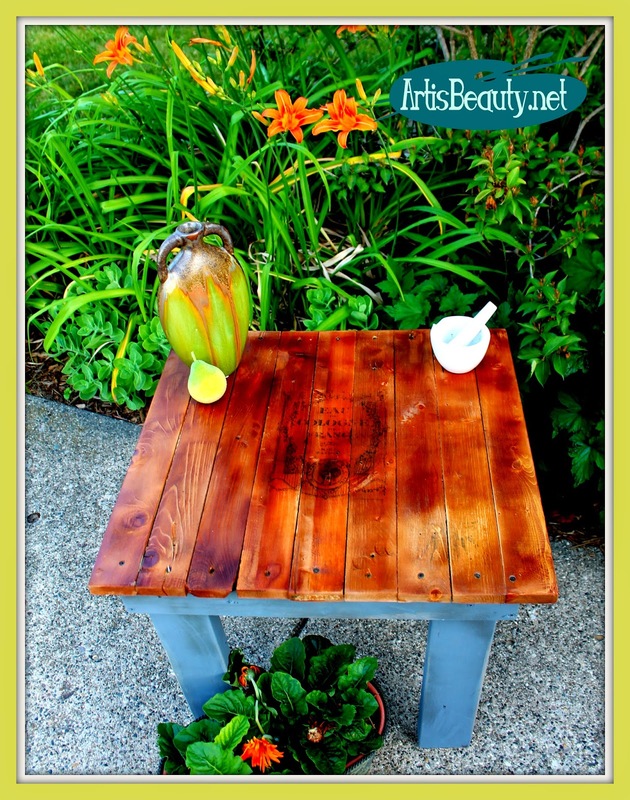 I thought I would show you a fun and easy way to make a FREE pallet art End table. out of my neighbors garage. They were happy to have me haul it away. I knew just what I wanted to do with it. So with a couple of cuts I started making my table. so I knew kind of what I needed to do. You can see that table HERE. First I made my apron and attached the sides together. Then I added my legs. Then I added the boards to the top. then I just stained the top. I am painting the legs. Now for the fun part.. freezer paper transfers. First let me say how much I LOVE the GRAPHICS FAIRY since she supplies such amazing free graphics. I went on her website there and got a nice FRENCHY one. I printed my graphic out on my freezer paper in reverse. I have glued my freezer paper to card stock to make it easier to feed through the printer. Shiny side up so that you can transfer the ink. they haven't had any luck, but practice makes perfect. VOILA!!! 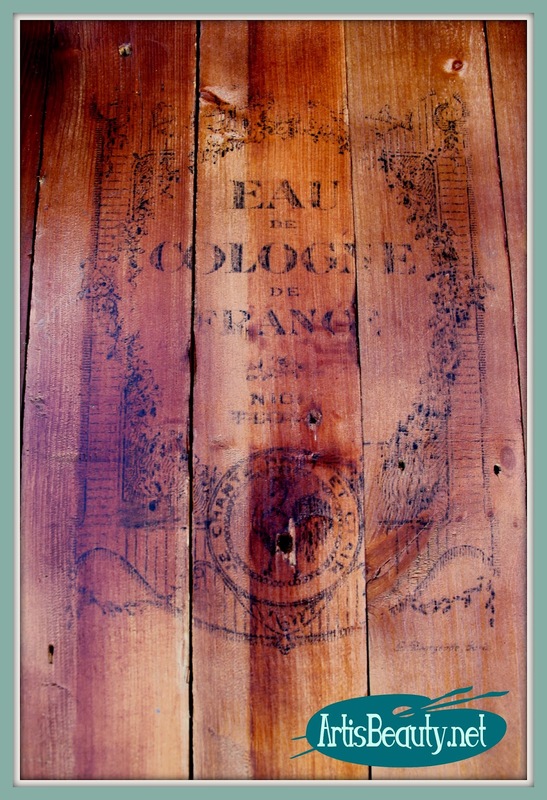 A beautiful FREE FRENCH table. I painted the legs with some paint I had. It was a mix of some blue and cream color, to make a nice dusty blue. I just love how it turned out; and the best part...FREE!!! Until next time, go make someones day BEAUTIFUL. I'd ask you to marry me, but... we're both taken, I love a woman who can use power tools. BRAVO. Love your table. I'm not so good with the transfers, I tend to smudge, but I'm working on it. Thanks for your tutorial. Fun! I'm excited to find your blog. Will be following :)! Very cool. Don't you love to make something beautiful from that pile of wood? Great job. Saw this on Sandra's linky party. 1. I don't think I've seen the freezer paper transfer onto wood before. Cool. I'll have to try that. 2. I love that you built your table in a dress. 3. I can't see it completely...but I think I love that dress. 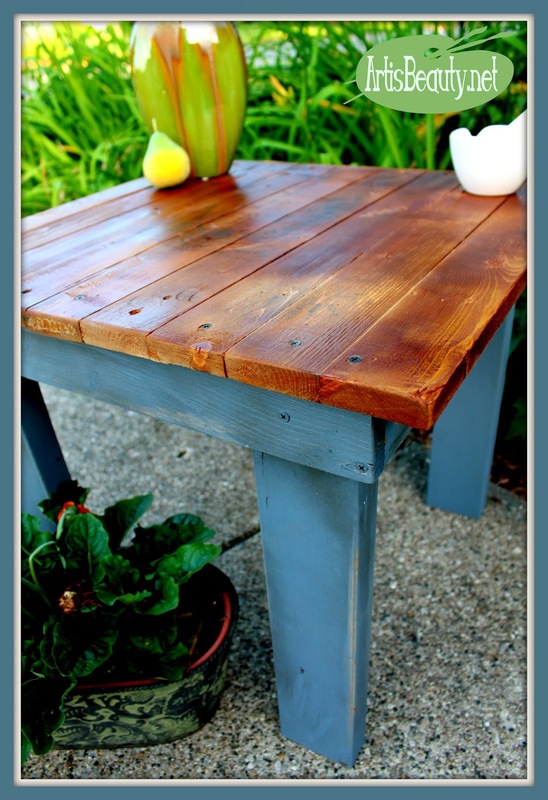 This is such a cute little table, nice job!